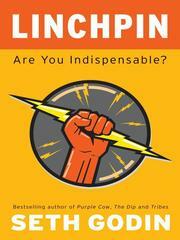 Critics say that Linchpin is Seth Godin’s most passionate book and I have to agree. First, he reveals that “there are no longer any great jobs where someone else tells you precisely what to do.” Linchpins who hold meaningful jobs don’t just follow orders. They add creativity-filled innovation and thus, create art. Seth shows how to free people so they can become artists, which means creators of unique and compelling value. It does not matter what these individuals do for living. It’s the attitude that matters. Linchpin’s drive and passion make it possible to create art every day. If people can become artists, “they will rise to a level you can’t even imagine. When people realize that they are not an easily replaceable commodity….they produce more than you pay them to, because you are paying them with something worth more than money …” People crave connection and respect. As an individual, you can’t become a linchpin merely because you are different. Linchpin is a most unusual, thought-provoking and concise book about becoming indispensable, whether you work for someone else or are self-employed. Godin’s principles can be applied to other aspects of life. Linchpins can be spouses, friends and community members. They can be indispensable in many ways. Godin says that if you want customers to flock to you, it’s tempting to race to the bottom of the price chart. There’s plenty of room there, but the only way to win is to race to the top. Are you indispensable? Do you create art? This entry was posted in Book Reviews, Business, Career Development, Customer Service, Entrepreneur, Marketing, Small Business, Technology and tagged indispensable, Linchpin, Seth Godin, Small Business on January 18, 2011 by Varju Luceno. Common sense, but overlooked pieces of advice on how to grow a business. Check these out to decide whether any of them could become growth-growing points in your business. * Find an edge over competition. Look at your industry’s biggest cost and time constraints and focus on those areas of your business. * Describe your business in 1-2 words. Own a phrase that illustrates your product or service. Then Google it to see if you have chosen the right one. * Focus on one measurable priority for your company, not a dozen. For 90 days, focus on one problem area of your business. * Control your cash flow. Construct a business model that fuels your growth without the need for outside financing. * Use blogs, white papers, YouTube, LinkedIn and Twitter to align your marketing materials with the phrase you own. * Make changes faster. The fastest-moving companies huddle daily to drive their priorities. This entry was posted in Business, Entrepreneur, Marketing, Small Business, Social Networking, Technology, Tips and tagged Business, Business Challenge, Small Business on November 23, 2010 by Varju Luceno. The most common problem among many small business owners is “time poverty.” Putting in a lot of extra hours could help, but it’s not the answer. Neither is trying to do two things at once. * Become an expert at what you do. Study the workflows of people who are efficient and copy them. Learn from experts in your field. * Prioritize. What is the most important thing on your list? Focus on that alone until you are finished. * Be open to new ideas. Some overwhelmed people think they already know all they need to know on a subject. Never stop learning. * Become an expert of time management. Then practice every day until you master time management skills. Read Getting Things Done by David Allen. This book was released in 2001 and remains a best seller as it fuels global demand for Mr. Allen’s workshops and personal coaching. Amazingly, he has established an industry around a simple approach to getting things done. This entry was posted in Business, Collaboration, Entrepreneur, Small Business, Technology and tagged productivity, stress-free on March 1, 2010 by Varju Luceno. What Is the Difference Between a Tri-fold Brochure, Case Study and a White Paper? I have never been a big fan of tri-fold brochures that attempt to convince me that I should buy a particular product or sign up for a certain service. These marketing materials tend not to be persuasive enough due to the fact that information has been crammed into a limited space. The customer benefits are not always obvious, contrary to emotional appeal – nice images, unusual fonts and unique paper may catch my attention, but not for long. White papers appeal more to me as they provide logic through facts, statistics and quotes from end users or industry experts. They are not flashy, but usually filled with facts. For me, they are much more informative. I consider writing a good white paper a real art form as the author has to be a good researcher, persuasive essayist and a marketer all at once. At the same time, a good balance between the right amount of facts, images, quotes and often industry terms has to be achieved. Case studies tend to focus on customer stories and testimonials whereas white papers add a touch of credibility through unbiased information. High quality content is becoming increasingly important as people crave useful information and have access to growing number of information channels before making buying decisions. All marketing materials should educate; therefore, business people, especially marketers, need to become avid readers and dedicated students to continuously improve their skills. I am planning to master the art of writing effective white papers in 2010 to deliver quality leads for my own business and customers. I encourage you to do the same. Good content leads to good customers. This entry was posted in Business, Content Marketing, Internet Marketing, Marketing, Newsletter, Small Business, Technology, White Paper and tagged Business, Communications, Content Marketing, Marketing, Marketing strategy, White Paper on January 23, 2010 by Varju Luceno. 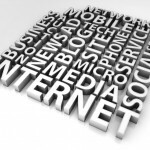 Some small businesses are hesitant to embrace social media. Blogging seems time consuming, Twitter, LinkedIn and Facebook scary or unknown. 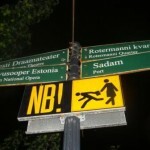 At the same time, old marketing strategies don’t seem to work any more. Business owners may not always realize that they need to re-visit their marketing plan to create and adopt a marketing system to get results. The same principle can be applied to Social Media – do your research, learn from others and create a well thought-out Social Media Marketing Plan to implement your Social Media Marketing System and benefit from social networking. Make Twitter a part of your marketing strategy. Create a Social Media Marketing System. Determine whether your business could use free social networking tools such as Twitter and Facebook for market research, customer service and/or for reaching your target market. Improve your professional skills by paying attention to what your competitors, potential clients and current customers are talking about. Then meet their needs. Learn how to educate and inform your target audience. Share information about the articles, products and opportunities that your followers/fans may find useful. Person handling tweets/posts/fan pages for your organization should be familiar with the web and web-based tools. Make it your goal to become an “informer” who has the potential to be a “trust agent” – someone who is an expert and has an ability to influence other people. Use each Twitter wisely. Listen first, then chime in. Avoid words and phrases that may attract unwanted followers/fans. 100 loyal followers/fans/subscribers who look forward to reading your tweets/posts may be worth more than 1,000 random followers. Learn to use Twitter/Facebook/Blogs as your company’s online reputation management tool. Don’t waste your time if you don’t have a social networking strategy. This entry was posted in Business, Internet Marketing, Marketing, Small Business, Social Networking and tagged Business, Communications, Marketing, Marketing strategy, Small Business, Social network, Twitter, viral marketing on November 28, 2009 by Varju Luceno. Are You Fatigued by Facebook and Twitter? Facebook gave us a way to find old classmates and renew friendships, find clients and share ideas. Email has given us a way to quickly conduct business or send silly stuff to co-workers and friends. So now we have IM, text messaging, friends on Facebook, and constant communication by 140 characters or less on Twitter. All of this messaging is great as it is supposed to bring us closer to our friends and find new ones, but if we aren’t careful, these interactions can harm our real-life relationships. Columnist Elizabeth Bernstein quite recently said that she is experiencing Facebook fatigue because loved ones are sending so many photos of their children or parties, forwarding funky quizzes, and posting dozens of jokes. And they are tweeting about their whereabouts and what they are doing at the present moment. To improve our daily interactions, Bernstein says: Before posting an item, ask yourself if it’s something you would want one of your contacts to send to you. Reward people by responding to interesting messages. While private blogs can be platforms for political ranting, it can be considered poor form on Facebook to constantly post your political opinions. This entry was posted in Business, Collaboration, Networking, Social Networking, Technology and tagged Communications, Facebook, IM, Social network, Twitter on October 15, 2009 by Varju Luceno. Word of Mouth Marketing, the oldest form of marketing is gaining ground again. How can business owners beat the current recession with Word of Mouth Marketing? clients with your time, attention and little extras – they will become enthusiastic promoters for your products and services. Are you creating compelling stories (ideas, articles, informative presentations or videos) that are picked up and shared person-to-person via social networking sites or within niche communities? If not, observe successful entrepreneurs in your niche and find out how they have become experts and what has contributed to their success. Participate in discussions, create conversations and relationships that help you become an expert and share your ideas. Surprising your clients is worth your time, since it gives you an opportunity to exceed their expectations and satisfied customers will be back. It is not hard to come up with a special offer or free complimentary service, you can always add something remarkable to your product. The level of expectations changes fast these days, you have to be creative and continuously find new ways to “over deliver” so that your customers keep having new reasons to talk about you. Get to know your customers, their habits and buying patterns, develop a system to pleasantly surprise them. Never stop learning how to be better and more efficient at what you do. Give your customers every reason to drum up more business for you and find out why or why not people refer you. Always welcome opportunities to meet and help other small business owners. Be interested in their business and volunteer activities. You will learn from them, also share your expertise and they will refer you as they get to know, like and trust you. You and your business will be on their mind as people in their network need products or services that you offer. Find time in your busy day to send thank you cards and notes to people who have made a difference in your life. Make it effortless for your loyal clients to provide information about you, your products and services (make sure they have your business cards and promotional materials, etc.) If you become and stay referable, you don’t have to try to sell your business to others, it will come to you. This entry was posted in Business, Collaboration, Entrepreneur, Marketing, Sales, Small Business and tagged Business, Marketing, Marketing strategy, Small Business, viral marketing, word of mouth marketing on October 12, 2009 by Varju Luceno. I have been traveling quite a bit lately. I embrace these opportunities as there is always so much to learn from people who live in different parts of the world – frugality and resourcefulness from citizens of countries that have to get by with much less than people in the U.S, relaxed and easygoing attitude from a young man who lives in Brazil, efficient time management from German professionals and eloquence from British gentlemen. people and governments are tightening their belts. Just like people in different countries have different needs, so do small businesses. Product and service customization as well as getting to know your customer are both equally important, or you’ll miss the mark. We have so much to learn from each encounter with potential and current customers. This entry was posted in Business, Career Development, Marketing, Networking and tagged Communications, Skills, Traveling on October 7, 2009 by Varju Luceno. Be sure you’re engaging in appropriate activities at an adequate level for the client acquisition and revenue-generation goals you have. Seems obvious and may correct any deficiency right there. As one respondent said, “Get of your office and go see some people!”. Sage advice. Define your ‘ideal client’ and don’t compromise your own standards. A number of people lamented that their willingness to take ‘anyone with an open checkbook’ often led to a client engagement that, in the end, proved frustrating for all parties. Just don’t do it! Identify specific ‘knockout’ factors and, if present, avoid engaging with those people. Charge a ‘fixed’ fee for your services rather than billing by the hour. Why? Understand that an hourly rate is something you need to know to be sure your pricing is profitable for your business or practice. It is NOT something your clients need to know. In fact, most don’t like hourly billing (survey your clients and you’ll confirm that one!). What they do need to know is the answer to this question: “What’s it going to cost me . . . if I use you or, if I don’t?” Once framed that way, any ‘price’ you’ll ask for will be positioned around the VALUE you represent, not the time you have to invest in a project that will provide the client what they want. In my own experience, ‘package’ pricing invariably causes more services to be sold and better margins to be maintained than providers who bill ‘by the hour’. The first two causes will be addressed by a systematic approach to helping someone make a decision . . . in short, ‘selling’. Seen as an essential aspect of your professional advocacy role, it’s an incumbent responsibility of every professional to help clients make decisions about their services – including the decision NOT to use them. But it must be a deliberate decision, not a decision by default because it wasn’t made deliberately. If prospects fail to perceive you as a preferred provider you are not differentiating yourself to your marketplace. To differentiate yourself, you must be both beneficial and unique. Being yourself is about as unique as it gets. So you need to learn how to demonstrate the beneficial ‘edge’ you offer that will cause you to stand out to your prospective clients. For service providers the ‘secret’ is to learn how to manage the experience your prospects have with you during the courtship phase of your relationship so they will feel, all things being equal, that you and your firm are definitely the preferred providers of your problem-solving expertise. Reframe ‘selling’ as a ‘moral responsibility’ that your professionalism demands. Selling is simply ‘client-centered advocacy’. Think of a physician who ‘advocates’ a course of therapy for a patient not because they want a fee as much as they want their patient to be healthy. So too, you must see that such client-centered advocacy is a high calling and not something much lower . . . in your humble opinion. More than one respondent offered the admonition to “just get over yourself”. I hope this perspective will help you do just that. If you / your firm hasn’t made this expectation public . . . do so! 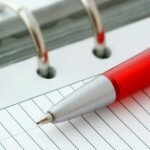 Rewrite everyone’s position description (yes, even the receptionists’) to include behaviors that support ‘marketing’. Unless and until marketing behavior is expected and inspected, it’s likely not to happen. Better yet, post this expectation in locations where you will be re-minded of it frequently. 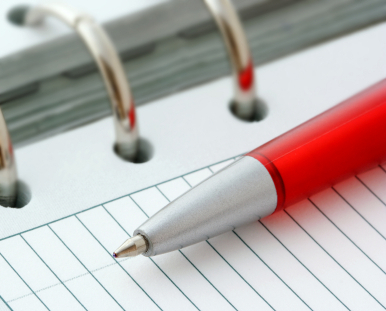 Create and use a ‘Marketing Activity Plan’ to ensure you’re allocating your time to what some call the ‘mission critical’ activities so the ‘mission’ of your planning will be accomplished. And brushing up on your time management skills might be a good idea, too! in a manner that is as professional as you are. While no one will argue these two functions aren’t important, many cite they either don’t know how or feel they’ll come off a ‘less than professional’. The key is not to ignore the need to do these things but to find a way to do so that won’t be offensive – to you or your marketplace. Consider that the cost of acquiring a project from a new client is much more costly (cost of sales) than generating a project from an existing client. In his book, “The Loyalty Effect” Theodore Reicheld explains that many firms don’t see a profit until an account has been with them for some time. Implication: “equal revenues with high turnover is less profitable than equal revenues with lower turnover”. Point: Keep-in-touch and stay-in-mind with your existing clients so whenever a need arises . . . you’ll be there and . . . seen as the preferred provider that you are. For any professional or business service provider, trust is an essential element to the formation and maintenance of a productive client relationship. If trust is an issue, getting and keeping clients will be highly problematic if not impossible. This entry was posted in Business, Marketing, Networking, Sales, Small Business and tagged Business, Business Challenge, Marketing, Professional Service, Small Business, Social network on September 5, 2009 by Varju Luceno. Apple – Design matters! People pay more for products if you give them a reason to do so. REI – Offers quality and utility to people who value them. Appreciates customer feedback. Target – Makes customers feel good by letting them trade up, differentiates its brand from low cost retailers. BE CREATIVE, do what your best competitors do, but do it differently, stand out. Find ways to create great customer stories and create your own story that others will tell. Reward your best evangelists. Write articles about your expertise or your business or have them written, submit locally and online. BE INNOVATIVE, find news ways to market. Start your own inexpensive podcast if you have talent or find someone who will interview you. www.podomatic.com – they even give their authors 800 numbers so people can also listen to the podcast on their phones. Check out BlogTalkRadio as well. STAY IN TOUCH with your customers and gain new clients via newsletters, webinars or special offers. Have free videoconferences via Skype. This entry was posted in Branding, Business, Entrepreneur, Internet Marketing, Marketing and tagged Business, Facebook, Marketing, Marketing strategy, On the Web, Podcast, Skype, Twitter on August 11, 2009 by Varju Luceno.